Hey there! 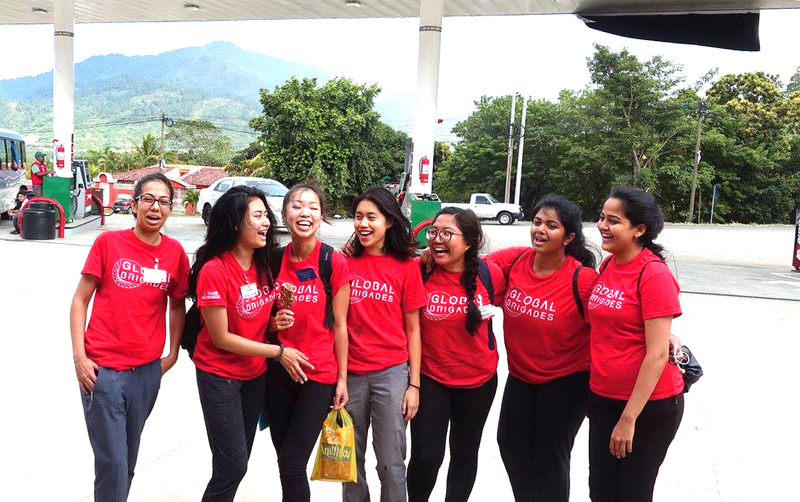 Welcome to University of Toronto Mississauga Global Brigades (UTMGB)! Have you ever wanted to volunteer abroad? Make a huge and long-lasting impact in numerous communities? Well, you’re in the right place! 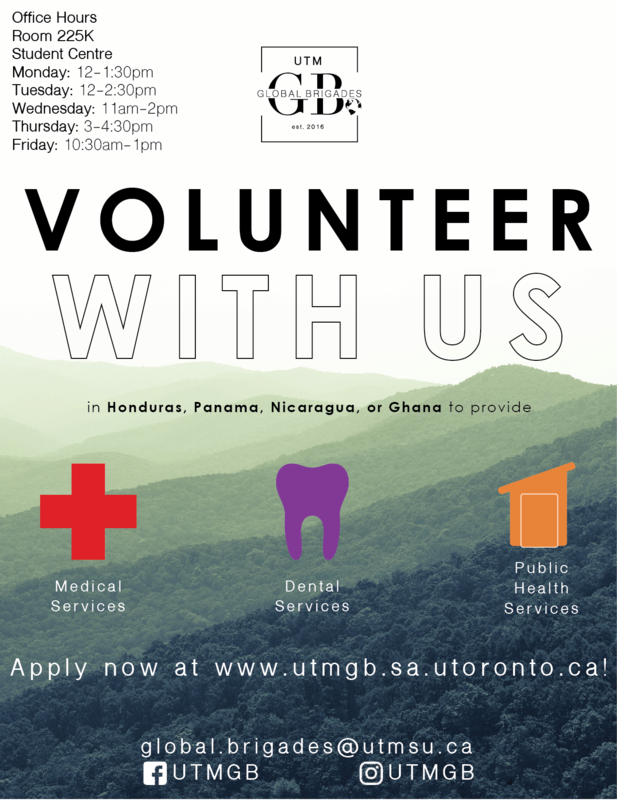 UTMGB is a Global Brigades chapter at the Mississauga campus of the University of Toronto. Global Brigades mobilizes university students and healthcare professionals through skill-based programs (healthcare, business, law, engineering). Since 2004, Global Brigades has sent thousands of university students and professionals through ten skill-based programs that work in partnership with community members to improve quality of life in under resourced regions. Check out our brigade last August 2017 in Honduras!